- Si vous avez loupé le dernier patch, et bien, on a une bonne nouvelle pour vous : le jeu est maintenant en 3D ! Eh oui ! Les vaisseaux sont en 3D, les musr sont en 3D, les lasers sont en 3D, tout est en 3D ! - Brand new help videos for the bonuses. - The BFGL has a cool impact effect now. 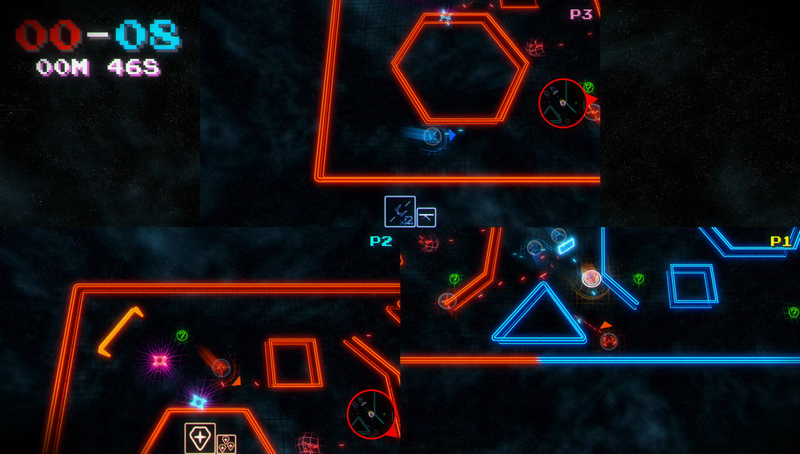 - Every single collision box in the game was revised to become more logical and/or pleasant, tell us what you think. - Fixed a bug where launching a BFGL would prevent the player to move in an online match. - Ships aren't black anymore in the multiplayer lobby. - Small fixes for the online mode (we're getting there). - Fixed a bug where the user couldn't click the arrows on the map selection screen.